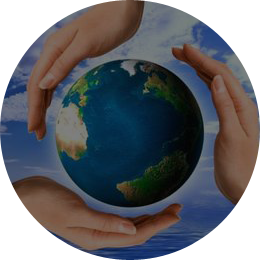 Mission of the organization is to establish the rule of law for environmental protection. preservation of natural resources, complexes, objects and unique territories as well as protection from negative impact on human life and health. Because of utmost importance of environment for people, environmental safety, compliance with environmental norms, standards, rules, orders and limits are among priorities of the society. Legal protection of violated environmental rights and interests is guaranteed by the Constitution and is directed at preserving safe environment and guaranteeing safe and then favorable for human life and health environment. We think that this form of protecting environmental rights allows for utmost realization of democratic principles and full account for interests of all subjects of legal relations in the sphere of environmental safety and interests of society in general.